This piece will continue to evolve! 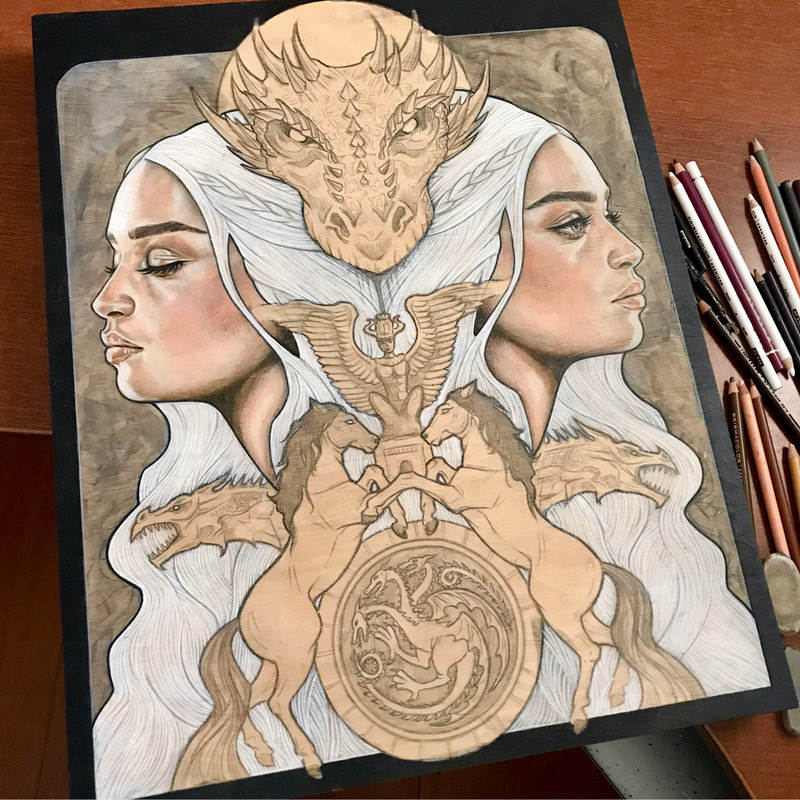 Check back here for updates as Wendy Ortiz completes this piece in real time throughout the final season of Game Of Thrones! Also sure be follow her on Instagram @WendyOrtizArt. Note: This Timed Edition will be available throughout the final season of Game Of Thrones and will close on May 19th at 3pm after the final episode of Game Of Thrones at which time the edition size will be set to the number sold.